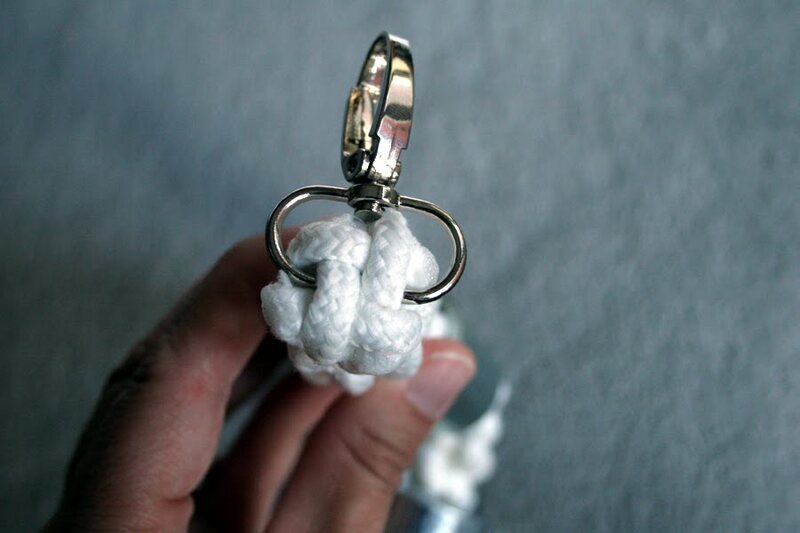 Here are some fun things you can do with laundry rope, hardware and old purses. Cut four strands of rope. Tie a bunch of lanyard knots. Slide an aluminum conduit connector (or hardware of your choice) over your ropes. 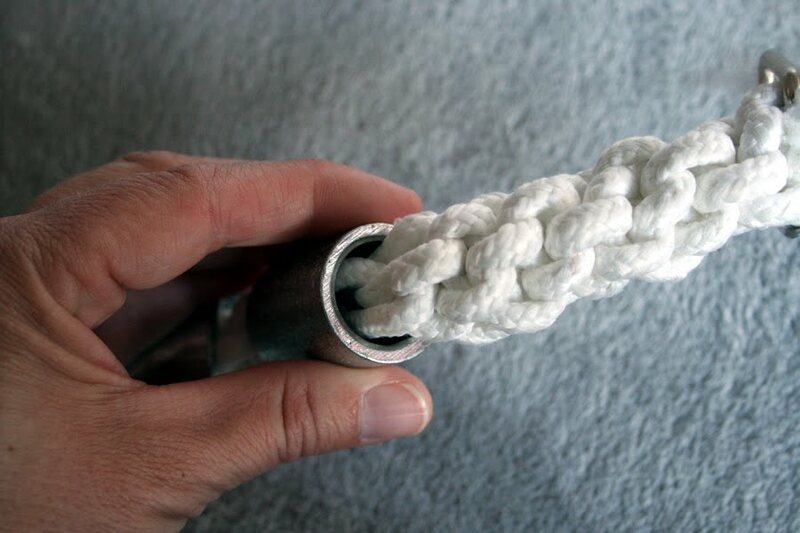 Keep tying knots. Add another aluminum connector. 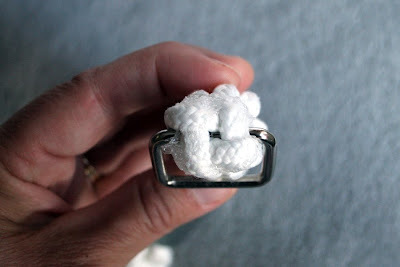 When you get it long enough, rip a clasp and loop off an old purse. 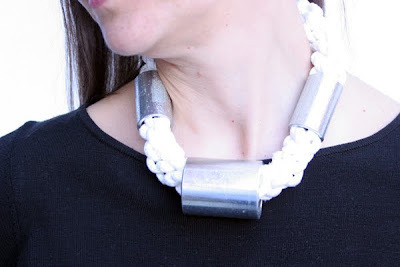 Tie one on each end of your necklace. Pull the ropes tight. Glue. Let it dry. Trim off the rope. 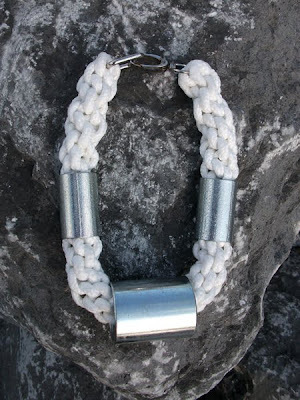 You can also make bracelets. Holy smokes I love this!!! What a statement piece.